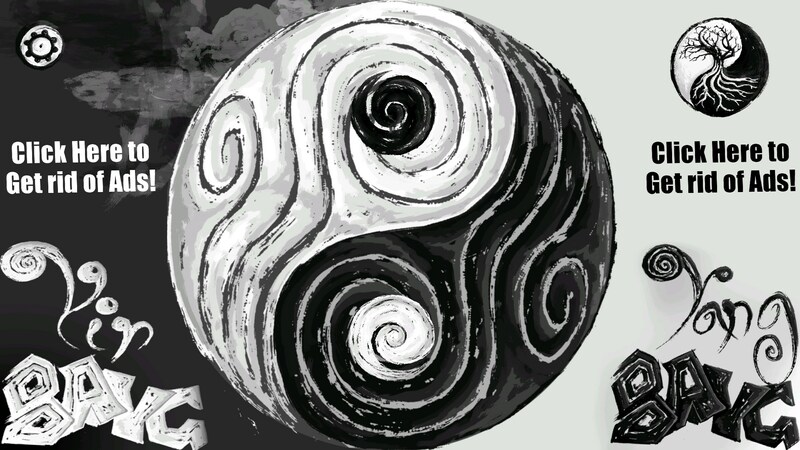 Yin Yang BANG BANG – Games for Android 2018. 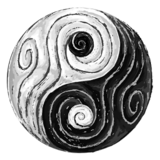 Yin Yang BANG BANG – We manage the energy of Yin-Yang. 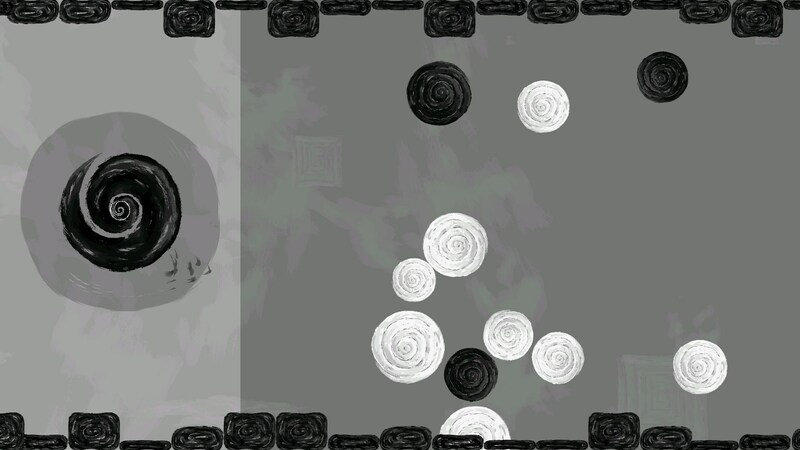 Yin Yang for Android is an original two handed game of coordination. Pick your ball - black or white. 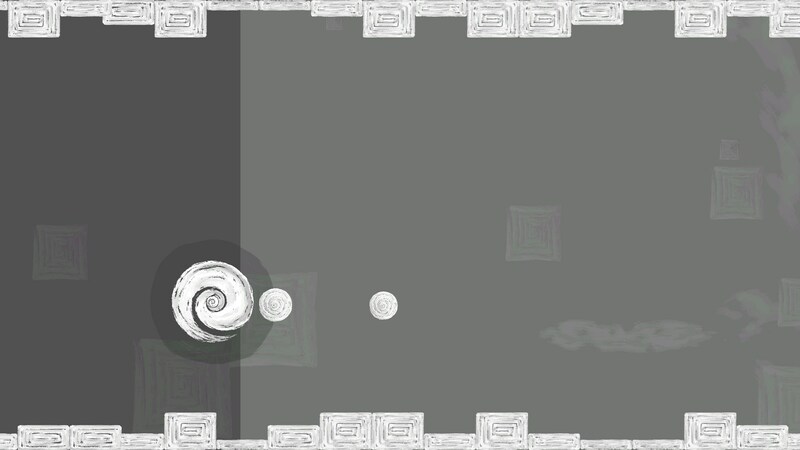 As you fly along the level, you'll absorb balls the same color, and grow in size. But growing also makes it more likely you'll hit balls the wrong color - which shrinks you. Get hit too many times, and you'll pop out of existence with a game over. 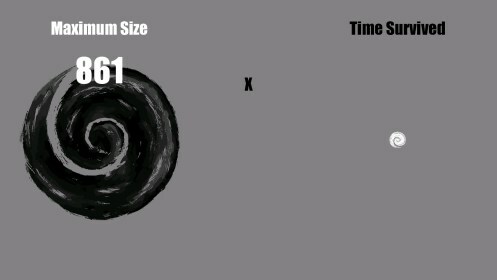 When this happens, your maximum size (as Yin) collides with your distance traveled (as Yang), and they explode in a burst of different color splotches for you to rapidly tap at for bonus points. You have to coordinate both hands in this one. With your left hand, you move your ball around within a shaded area. 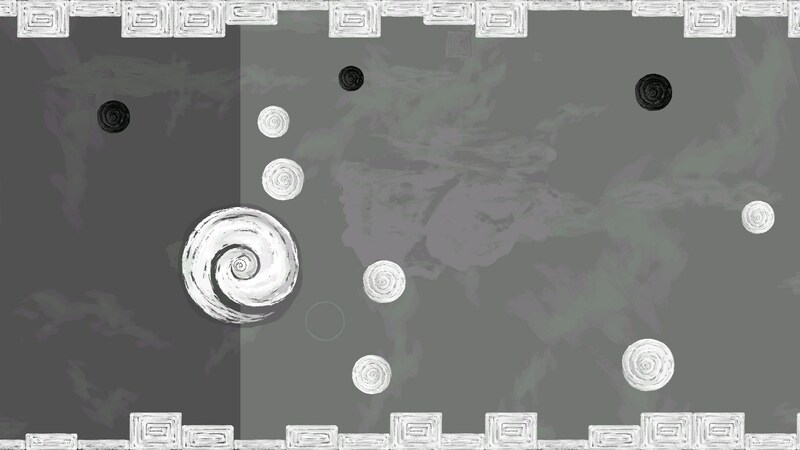 With your right hand, you can tap other balls to change them from Yin to Yang. It sounds easy, but at the speed you are moving it's actually pretty complicated and challenging. Worse, the color of your ball periodically changes; and although you know it's coming, this always seems to throw you out. 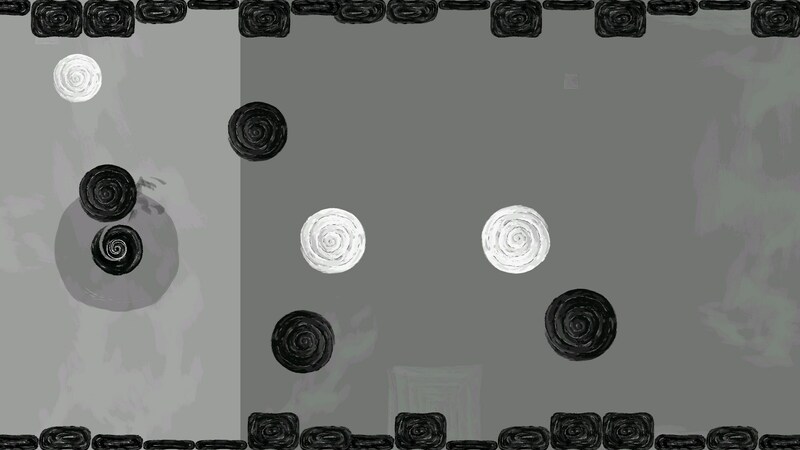 The game is free for the first couple of levels, and then the rest is blocked off with an "impossible difficulty" level, where you're flowing against masses of the wrong color objects. Kudos for the interesting way to lock off the rest of the game.